Wandering the cold streets of Brooklyn, a heavily pregnant brown tabby cat was desperately in need of a safe, warm place to give birth. 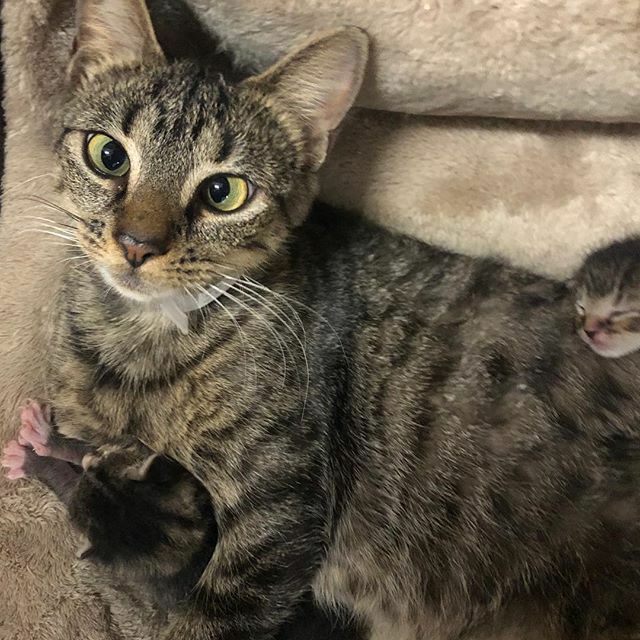 A kind person saw her on the street and took her to a nearby city animal shelter in hopes that she would at least have a decent place to bring her kittens into the world. Word went out to a local rescue, the Brooklyn Bridge Animal Welfare Coalition, and it sent volunteers to get her and place her in an experienced foster home. It was Christmas Eve, and this sweet, cross-eyed, mama-to-be was now secure and safe in a warm, loving environment. 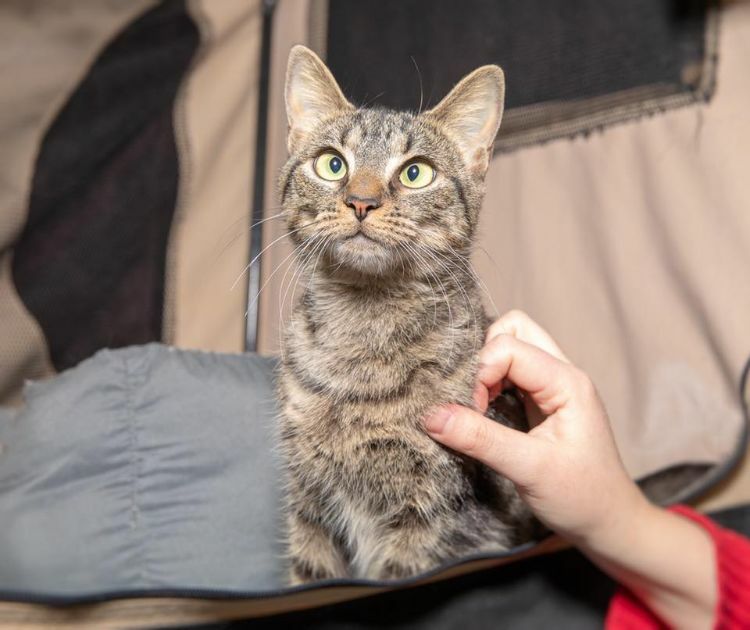 The foster volunteer named the cat Sugarplum, and the cat immediately showed her appreciation for her new surroundings by purring any time the volunteer was around. "She was super sweet as soon as she arrived, and just wanted pets and snuggles," said Julia Rosenfeld of the Brooklyn Bridge Animal Welfare Coalition. 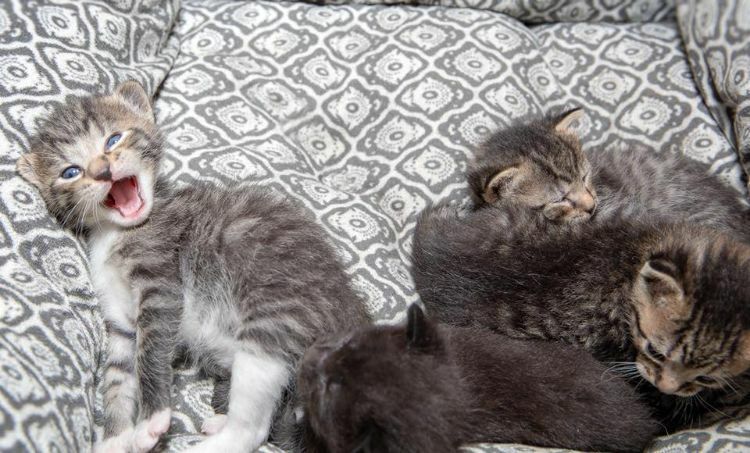 Shortly after Sugarplum arrived at the foster home, she went into labor and gave birth to four beautiful, healthy kittens. "She went into labor on Sunday night and all of her elves had arrived by Monday," Rosenfeld said. Thankfully, mama cat and her babies received around-the-clock attention and care; it would have been so different for Sugarplum had she given birth on the cold, snowy streets. Sugarplum has proven to be an excellent mother. She is always with her kittens and spends time nursing and grooming them with love and devotion. Rosenfeld notes that "Mama Sugarplum is insanely cuddly and a very devoted mom [...] She keeps her babies close and they all seem to have already found preferred positions in her soft bed." The kittens have all received seasonally appropriate names: Jingle, Frosty, Crumpet and Snowball. 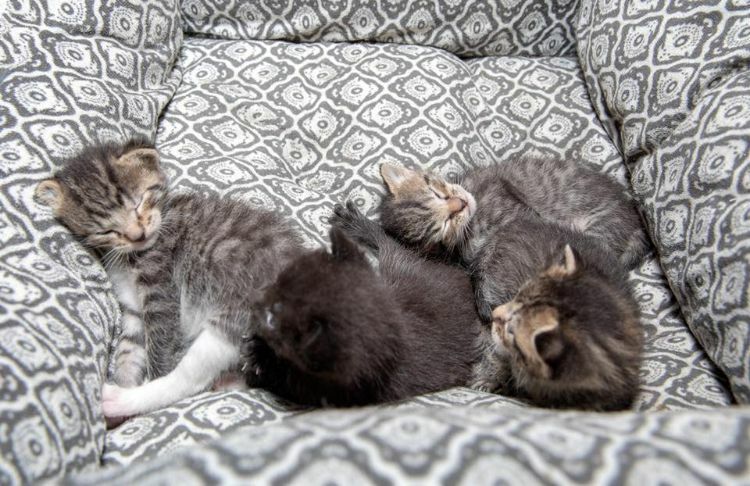 "Snowball is all black, and the other three are tabbies like mama," said Rosenfeld. She also shares that the kittens continue to thrive alongside their loving mother. Sugarplum and her babies were extremely lucky to be seen by the right person at the right time. Unfortunately, there are many other pregnant cats on the streets who are not as fortunate. Rosenfeld said the most important thing is to make sure cats are spayed or neutered to prevent them from reproducing. Once Sugarplum's kittens reach 14 weeks old, they will be spayed or neutered and vaccinated. The rescue hopes to adopt out the kittens in pairs so they will always have a sibling in their lives. Sugarplum will also be spayed and soon need a forever home. 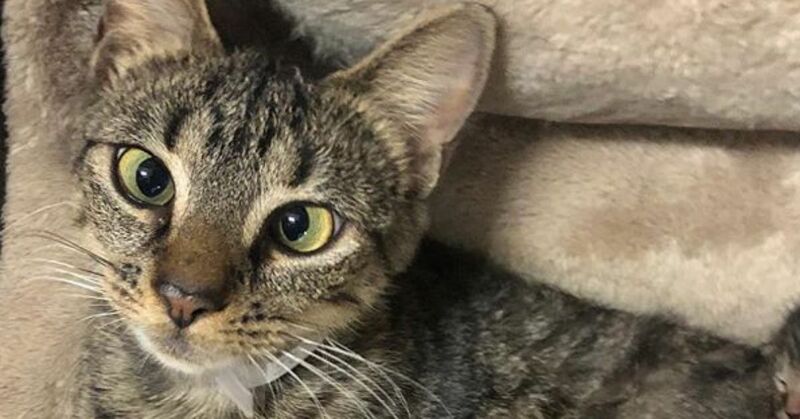 Follow the progress of this sweet feline family at the Brooklyn Bridge Animal Welfare Coalition's Brooklyn Cat Cafe's Instagram and Facebook pages, and check out Sugarplum's video below for more about her story.